At some point in our daily lives we must have received phone calls from unknown mobile numbers and heard a automatic pre recorded message; well that is what we are going to talk about today. Like the name suggests, Robocalls are automatic telephonic calls that one receives. Robo means robot that inhibits calling to produce Robocalls. Robocalls use a computerized auto dialer to deliver a pre-recorded message, as if from a robot. At some point in our daily lives we must have received phone calls from unknown mobile numbers and heard a automatic pre recorded message; well that is what we are going to talk about today. Like the name suggests, Robocalls are automatic telephonic calls that one receives. Robo means robot that inhibits calling to produce Robocalls. 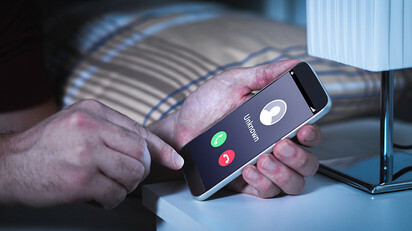 Robocalls use a computerized auto dialer to deliver a pre-recorded message, as if from a robot. Robocalls are often associated with political and telemarketing phone campaigns, but can also be used for public-service or emergency announcements. Some Robocalls use personalized audio messages to simulate an actual personal phone call. According to a study published by CNN, the number of Robocalls increased by 57% in 2018 to almost 50 billion Robocalls. The Federal Communications Commission (FCC) of the United States stated that in 2019 half of the calls one receives will be spam. It’s very likely that people will be buggered of at such fake calls; The FCC also receives a record 200,000 unwanted caller complaints each year that is almost 60% of all FCC complaints. In Canada Robocalls can be and are legitimately used by mainstream political parties to reach voters. There have been Controversies surrounding the use of Robocalls during the Canadian federal election in 2011. Many of the companies in the US use Robocalls such as Capital One, Wells Fargo, Comcast, etc. Some people receive more than 20 Robocalls a day making their lives miserable. Now, what makes the process or Rob calling easy is because the technology used is quite easy and placing a call is quite cheap in the 21st century. 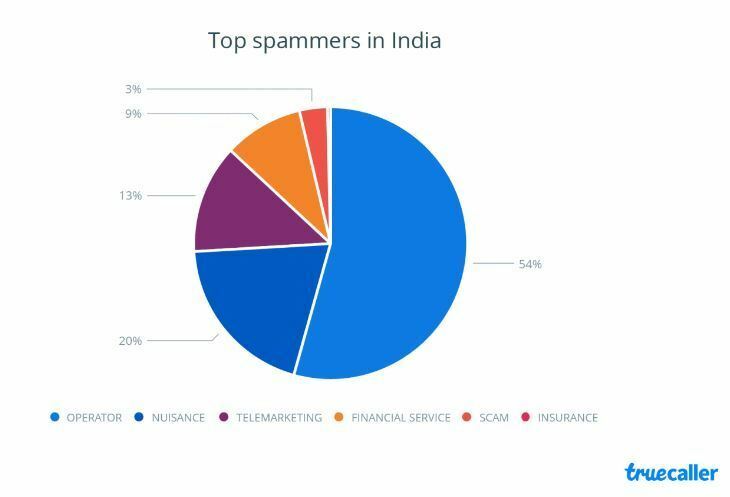 In India, a user receives almost 23 Robocalls per month which is highest compared to 20 other countries affected by Robocalls. 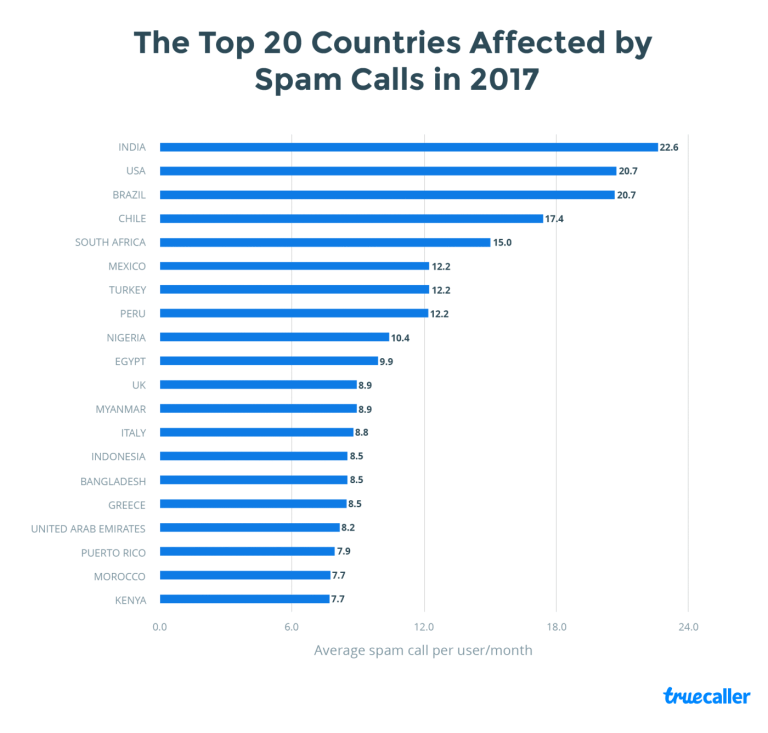 The Truecaller insight report stated that Truecaller users worldwide received over 5.5 billion spam calls, a large part of the spam calls from operators are used for advertising special offers, free data, and unlimited calling packs. Clearly, Robocalls are on the rise around the world. Things got s far that The Telecom Regulatory Authority of India (TRAI) launched an option to manually block these unsolicited calls and even launched an app to manage them. In 2017, India was ranked no. 1 in the list of countries affected by Robocalls. However, with time there are services being launched to reduce the no. of Robocalls received by people wordwide. In the US we have the National Do Not Call Registry, but it only applies to calls from only one particular type of calls such as the sales calls. In a CBS report, it was stated that half of all the mobile calls this year will be scams. Wow! Terrifying, isn’t it?